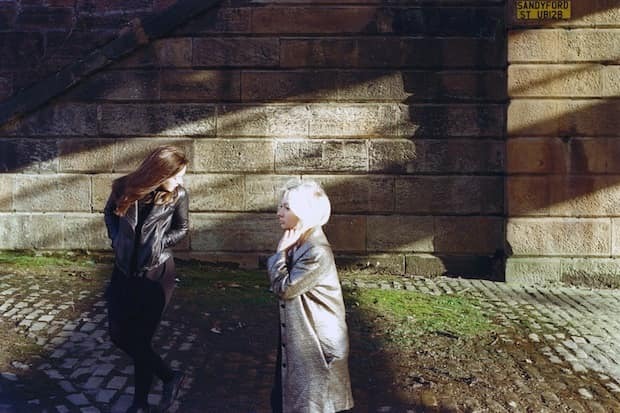 Glaswegian duo Honeyblood will release their self-titled debut this spring, and the brash lead-off track is called "Choker." It mostly burns off the sugar-coated haze of their earlier tracks and goes straight for the jugular, in this case, of an untrustworthy lover who has a history of being a jerk (it's in his blood). When the snarling chorus hits, that angst translates into urgent, self-assured, windows-down rock n' roll. Honeyblood is out May 20th via Fat Cat.